Smart phones are categorized as mobile phones but are called smart phone. This is because smart phones, which combine mobile phones and computers, are more than just advanced mobile phones. The smart phone is the innovative communication device that leads the world to a new paradigm. Like this, NEXGEN is categorized into cosmetics; however, biometics is more appropriate for NEXGEN in that it has the features of medicines. 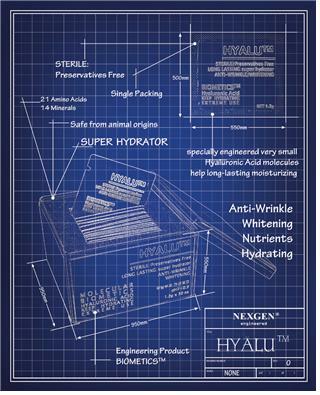 It is highly likely that NEXGEN kicks off a new paradigm in the skin care area. Why without artificial preserving and why packing product for a single use? NEXGEN never uses any kinds of preservatives. This is their first distinguishing virtue compared to other cosmetics. Once you open a lid of container, you usually use it for months and during this time, the contents can be contaminated by microorganisms. To avoid contamination, preservatives are used in cosmetics to inhibit proliferation of microorganisms. In fact, preservatives are toxic substances. When cosmetic preservatives are tested for toxicity on fish, they kill small fish within 5 seconds. The danger of cosmetics preservatives, however, tends to be ignored while many precautions have been taken against food preservatives regardless of the fact that both the food and the cosmetics preservatives are equally harmful. In this regard, NEXGEN cosmetics have an unparalleled advantage. 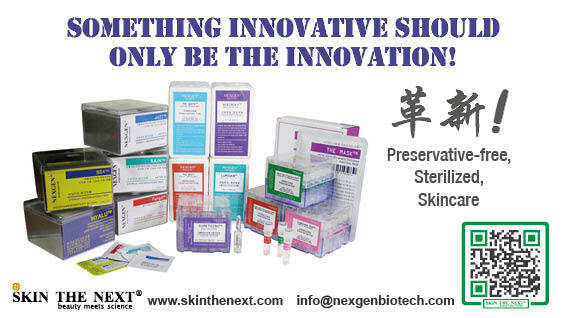 For the last 30 years, tremendous new materials and formulations have been introduced in the world of cosmetics, but the perfectly sterilized cosmetics without the preservatives were first developed by NEXGEN in 2011. What if the product is perfectly sterilized in the production process but contaminated while customers are using it? If so, it would become no more than another flawed product. How is NEXGEN preventing this problem? The best and certain way of not using the preservatives in the cosmetics is to use all the product contents in a package at once. NEXGEN thoroughly gets lid of germs that proliferate in the production process and packs the product for a single use. 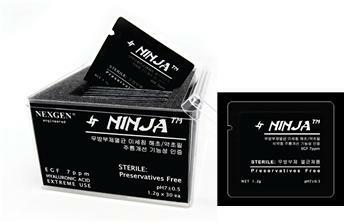 Here, sterilization is the key process of finishing the preservative-free cosmetics. Is an organic cosmetic better for skin as organic food is better for body? The answer is no. Organic cosmetics use plants that are raised organically without pesticides. Unless we stop using preservatives, using organic ingredients is not enough to be good for skin. Organic cosmetics are made with organic plant extract and plant extracts are basically industrial product, which cannot be distributed without preservatives. What would happen if spinach soup, whose main ingredient, spinach, is a plant extract, is distributed on a plane? It will spoil soon. Those who have used cosmetics for long do not know what their true skins are like since they have been under the influence of preservatives all the time. When they throw away all the cosmetics they have, they will see their genuine skin. 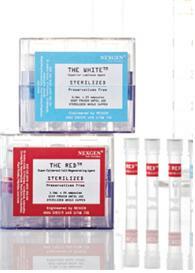 NEXGEN’s sterilized, preservative-free cosmetics can recover the bad effect of the cosmetics preservatives. The recovery effectiveness of the NEXGEN cosmetics has been guaranteed by customers in the market. Why do the plant engineers reject the plant extracts? The second outstanding feature of NEXGEN is that they never use natural plant extracts at all. NEXGEN specializes in the plant biotechnology. To illustrate more, Research and Development Company focuses on creating recombinant human proteins from plant protein. NEXGEN is a group of plant engineers. Then, why do those who are well aware of the nature of the plants exclude the plant extracts? The plants are usually perceived as ‘mild’, ‘fresh’, ‘beautiful’, and ‘healthy’ image. However, the plants might be the most firm organism in the world. Human beings cannot stand still on the spot for even 10 minutes; contrarily, plants stay in the same place for centuries. Because plants are not able to move, they create enormous self-defense substances to protect themselves against other living organisms and harsh natural environment. Some of these substances can be beneficial for human beings; however, there are adverse effects (side effects) as well. For instance, bracken is a favored food ingredient in Korea, but actually it is not edible unless it is put in water for some time before cooking due to its toxicity. Plant extracts have potential dangers all the time. The problem is that we are not able to know the component composition of the cosmetics. Sugar water is made up of sugar and water only and salt water is of salt and water. Unlike sugar water and salt water, the component composition of the aloe extracts is not clear. What kinds of amino acid and how much of it is contained, and what metallic ion concentration is in it. It is not known for anybody and even for the cosmetics manufacturers using the aloe extracts. Spinach soup is spinach extract and seaweed soup is seaweed extract, and of course, we never know what composes them and how its components are organized. This is why NEXGEN refuses to use plant extracts. It is likely that the NEXGEN cosmetics may be the only cosmetics company that does not include plant extracts in its products. Instead of unreliable plant extracts, NEXGEN chooses materials whose components are clearly known – artificial cell sap, which is the cell where vitamin, amino acid, and mineral are artificially constructed. SunKyo Lee, the CEO of NEXGEN, points out that flowers are beautiful but putting powdered flowers on a face does not make it bloom as beautifully as a flower. Biologically, the beauty is just the means of survival for a flower. Regardless of great scientific developments, the skin care area is still approached with the old paradigm, emotion. NEXGEN insists that the paradigm should change from science to smart science. How NEXGEN can use enough growth factor protein for the effectiveness? The third feature is that NEXGEN develops and produces recombinant proteins such as growth factor proteins, which have recently been recognized as the next generation’s new materials for cosmetics. Three years ago, retinol was the only new material for cosmetics. At that time, NEXGEN, the company developing and producing proteins for medical purposes, commercialized 20 kinds of growth factor proteins and by doing so, entered into the cosmetics market. The growth factor protein, which improves skin elasticity and triggers cell division, is traded with a highly expensive price. In cases of EGF (Epidermal Growth Factor) and IGF (Insulin like Growth Factor), which are favored for high-functional cosmetics, cost $40,000 and $90,000 per 1g respectively. The price of growth factor proteins can be a burden for makeup companies to use in practice. In other words, the cosmetics companies cannot afford the sufficient amount of growth factor proteins. NEXGEN, however, can use growth factor proteins at cost with the advantage of self-production. This means that NEXGEN meets the qualification to put the growth factor proteins into practical use, which will result in high effectiveness.